Many believe the term stems from the dog-like appearance of the seal, while others claim it is grizzled old sailors. Both of these are correct, nautically speaking, but not when it comes to the pirate. 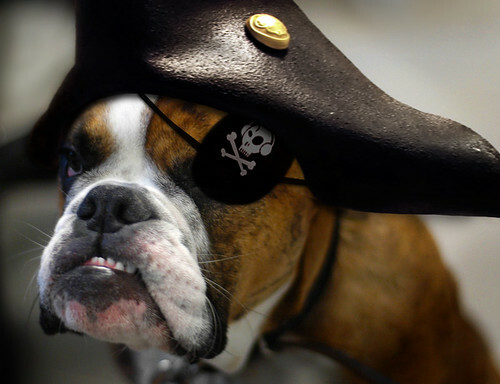 Pirates, and more particularly, privateers, became known as sea dogs after the astonishing career of Captain Rufus the Flatulent. Alltop Grrr!, a photo by Jesper Egelund on Flickr. Previous Post Ask General Kang: As a world-conquering potentate, what is your policy regarding instant gratification? Next Post Ask General Kang: How can I get more respect?